Date of Birth: 04/05/1920 ? Date of Birth: 03/05/1925 ? Served for five years, became Squadron Leader. Jack Spry was born in Sexsmith, Alberta, the son of Walter & Rose Spry. Jack served in the Royal Canadian Air Force for five years during World War II. He was certifed as a wireless operator in 1941, became a certified Wireless air-gunner in 1942, and later that same year a S.E. Coastal Operator. In 1943 Jack was stationed near India. One day out on anti-sub patrol with pilot Sgt. Gallagher they sighted lifeboats and fourteen survivors of the S.S. Montanan. In attempting a landing their hull was damaged in a heavy swell. This had them scrambling into a rubber dinghy and in need of rescue. The lifeboats they had been sent to rescue came to their aid. On June 9th, after 2 days and 7 hours adrift, they were rescued by Catalinas Y & G and later made landfall at Marsira. After the war Jack returned to the Sexsmith area, where he farmed until his death at the age of 57 on Aug. 14, 1980. He was buried at the Emerson Trail Cemetery. Margaret trained for the Canadian Women Army Corps at Barriefield, Ontario where met Eddie Schadeck. Joined up in Grande Prairie. Mentioned in Dispatches for gallantry and distinguished service. 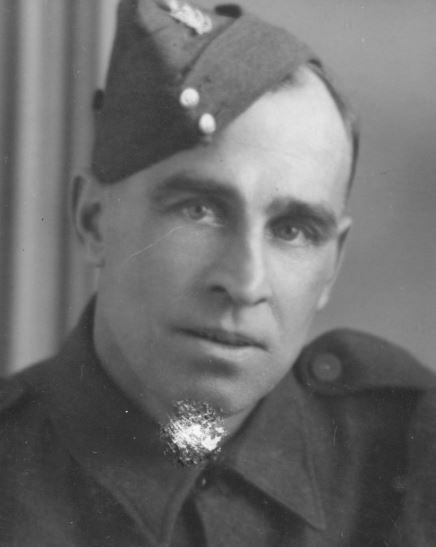 Enlisted in Grande Prairie, Alberta on 14 June 1940. 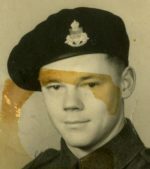 When World War II began, Fran enlisted in the South Alberta Regiment and served his country in A Squadron 29th Canadian Armoured Reconnaissance Regiment in NW Europe as a radio operator. He returned to Grande Prairie in 1945 and picked up his interest in sports again. During his first winter home, he was hired by Bill Bessent to help make ice and operate the arena. For a brief time Fran played hockey in the South Peace Hockey League, but he is remembered more as the sports broadcaster on CFGP. His career there began in 1952 as a transmitter operator but soon developed into almost 20 years of announcing hockey games’ play-by-play and providing game analysis and conducting interviews. The South Peace Hockey League recognized his popularity and contributiion to hockey by awarding him The Most Valuable Player, and later he became the first media person to be recognized as a Grande Prairie Hockey Legend. Fran died in Grande Prairie March 27, 1984. Fran was a brother to Vera, wife of Jack Soars, who also became a CFGP radio personality. 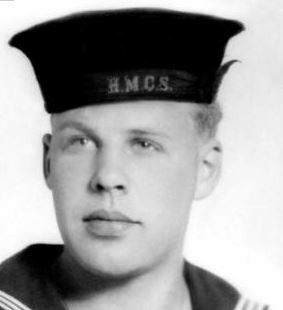 Jack Thorpe enlisted in the Royal Canadian Navy Veterans Reserve when he turned 18, at the end of 1941. He served aboard the minesweeper HMCS Bayfield, the Corvette HMCS Orangeville, and HMCS Atholl, a corvette on convoy duty from St. Johns to Londonderry, Ireland. Regiment: Fort Garry Horse, R.C.A.C.